That's right. 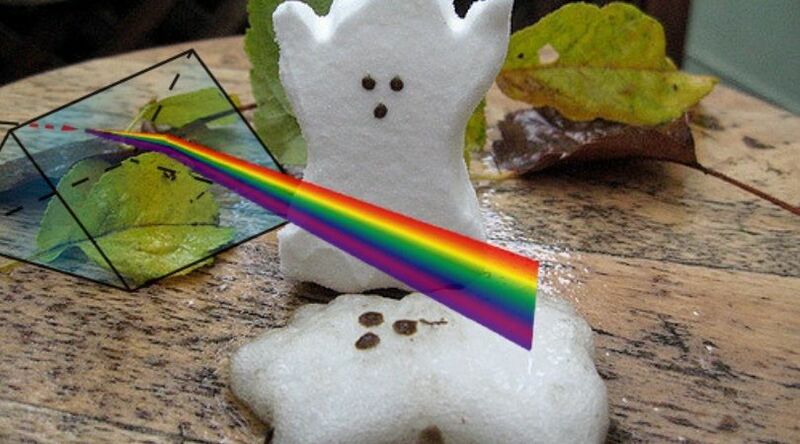 It's a prism.. melting a ghost. I realized recently that none of the code snippets on my Ghost blog were displaying syntax highlighting, which used to work thanks to Prism.js. When did it stop working? Who the heck knows. The question is.. why? Here's the difference between the two, the first showing how Prism.js should highlight C# code, and how it was actually showing up in the browser. At that point, I took a closer look at the source code and saw something pretty fishy. 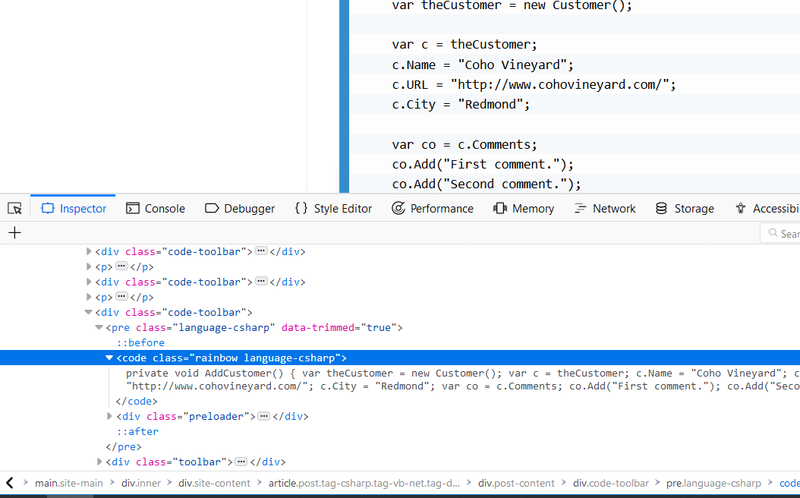 With JQuery disabled, I got the markup on the left. 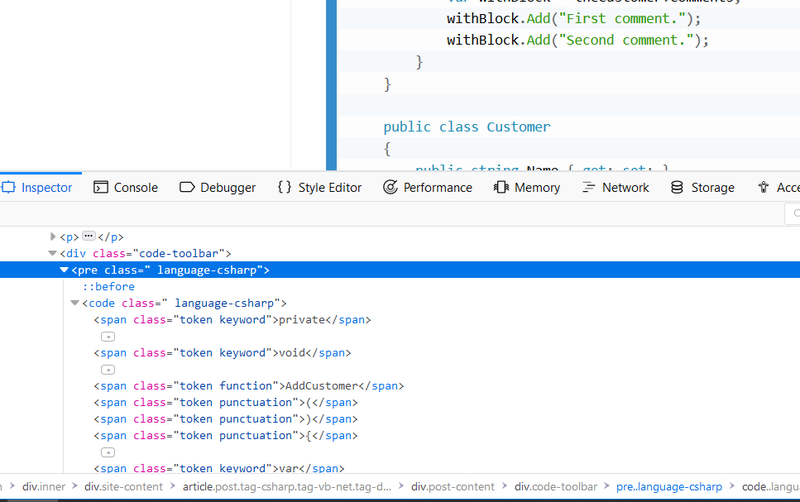 With it enabled, I got the markup on the right with a new class called rainbow. Where'd that come from??? As it turns out, the theme I'm using (Wildbird - a really fantastic theme btw!) uses several plugins by default, including a syntax highlighting library similar to Prism.js called Rainbow.